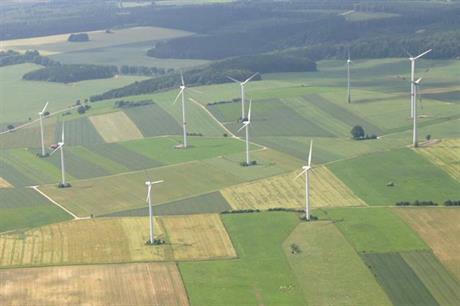 GERMANY: Close to the full 670MW allocation was awarded in the latest onshore wind tender as prices increased again. The federal energy regulator, Bundesnetzagentur, received 91 bids with a combined capacity of 709MW for a tender volume of 670MW, but five bids (42MW) were not admitted, it stated. The last auction, in May, was undersubscribed. Bid prices ranged between €40/MWh and the ceiling price of €63/MWh, while the weighted average of €61.60/MWh marked an increase on the €57.30/MWh average in May. The Bundesnetzagentur (BNA) stated that this increase reflected "only rather weak competitive pressure" and claimed that price increases in the last two bidding rounds may have inspired new developers to participate. Wolfram Axhelm, CEO of the German Wind Energy Association (BWE), pointed out the tender was only slightly oversubscribed, whereas larger volumes had been put forward in previous bidding rounds. Bids for 2,927MW of projects were submitted in August 2017, 2,591MW was offered three months later, while 989MW was put forward in February. He said that ideally there would have been more bids and, therefore, greater competition. Axhelm said: "The unreliable political statements of the past and frequent adjustments in EEG legislation have led to planning delays for many projects. "This shows that stable political framework conditions are necessary to ensure sufficient competition in the tender rounds." Axhelm added smoother permitting processes were also needed to make tenders more competitive. He said: "Competition can only occur if sufficient projects with permits are available. "Permits are currently being delayed for a number of reasons. At the federal level, political statements create uncertainty. In addition, there are legal proceedings and longer approval periods." Most of the successful bids came from Brandenburg (23), followed by Schleswig-Holstein (16), North Rhine-Westphalia (12), Mecklenburg-Vorpommern, and Rhineland-Palatinate (seven apiece). There were also successful applications from Lower Saxony, Hessen, and Bavaria (three each), and from Saxony-Anhalt, Saxony, and Thuringia (two apiece). It was the third tender to take place following rule changes made in December that removed perceived advantages for so-called "citizens projects". The results follow the BNA calling the fourth and final 670MW onshore tender this year. It will take place on 1 October and again have a ceiling price of €63/MWh.